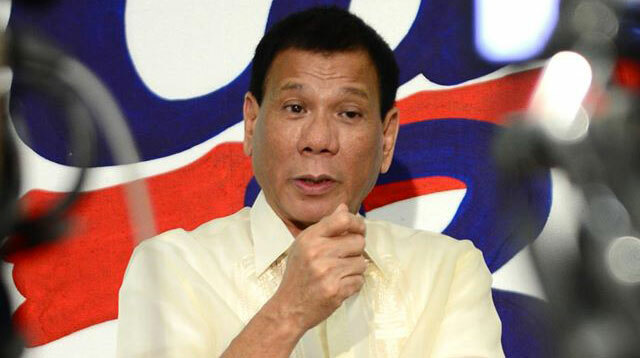 The Commission on Elections (COMELEC) on Wednesday has dismissed all four disqualification cases filed against presidential aspirant Davao City Mayor Rodrigo Duterte. The Comelec First Division ruled in a 50-page resolution that the disqualification cases which were consolidated lacked merit, Philstar reported. “The Comelec body has ruled that the punisher will live to die another day. It was a unanimous decision,” Comelec Commissioner Christian Robert Lim said. ‘The Punisher’ became Duterte’s moniker after being linked to the Davao Death Squad which allegedly exterminates crime in the city through extrajudicial killings. The disqualification cases were filed by broadcaster Ruben Castor, UP Student Council head John Paulo delas Nieves, and presidential bets turned nuisance candidates Elly Pamatong and Rizalito David. This was over technicalities with Duterte’s substitution of then PDP-Laban standard-bearer Martin Diño’s certificate of candidacy (COC) for the presidency. The Comelec explained in its ruling that Diño made his intentions clear that he was going for the country’s top post despite his COC indicating he was running as Pasay City mayor. “The Commission’s First Division finds no material misrepresentations in Duterte’s COC for president. Hence, his candidacy is valid,” it read. However, the ruling is yet to be finalized as the petitioners were given 5 days to file a motion of reconsideration regarding the Comelec division’s decision. Including Duterte, voters currently have six options for the presidency with Senator Grace Poe, Vice President Jejomar Binay, Liberal Party standard-bearer Mar Roxas II, Senator Miriam Defensor-Santiago, and party-list Rep. Roy Señeres.